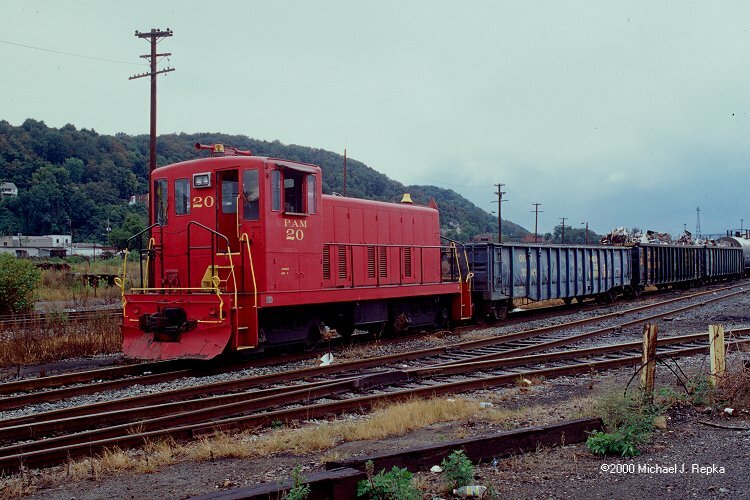 This is an unofficial Pittsburgh, Allegheny and McKees Rocks Railroad railfan page. 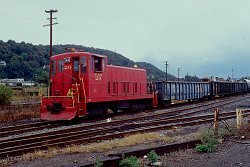 This page has no affiliation with Pittsburgh, Allegheny and McKees Rocks Railroad. To my knowledge, the Pittsburgh, Allegheny and McKees Rocks Railroad does not have an official web-site. 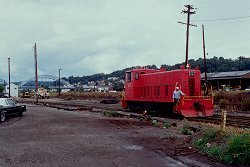 The Pittsburgh, Allegheny and McKees Rocks Railroad (PAM) is a little switching line, located in McKees Rocks in the Greater Pittsburgh area. The PAM serves an industrial complex, to which there is no access to the public, and only comes outside to interchange with either the CSX or the Pittsburgh Industrial Railroad (PIR). During my stay in Pittsburgh I never saw the PAM at all. 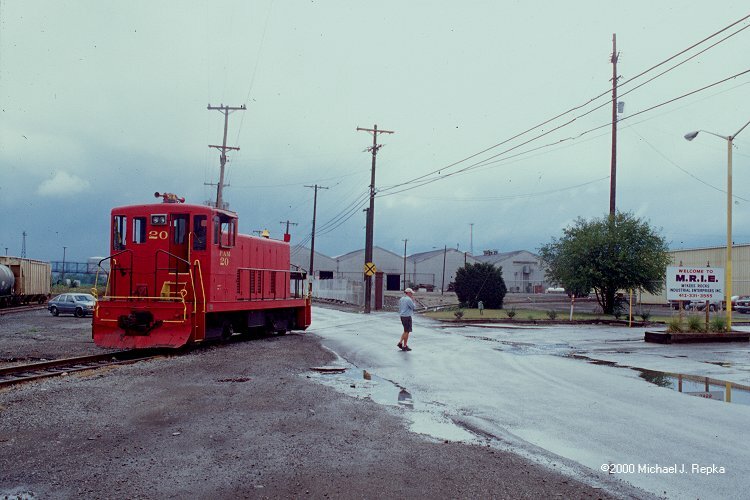 But thanks to my good friend and fellow railfan Mike Repka I was able to picture the PAM here anyway. All photos are by Mike Repka and were shot September 15th, 2000. 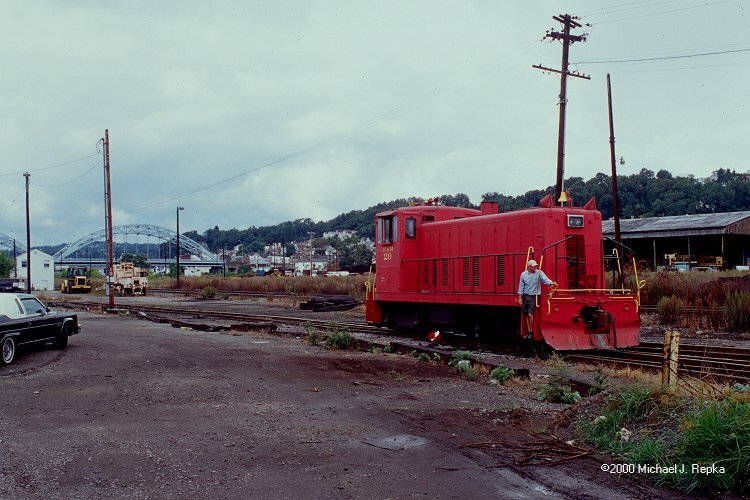 The CSX (ex P&LE) yard and the McKees Rocks Bridge in the background. This is as far as the PAM comes out of the industrial complex. The cars on the left are on the CSX interchange track.